Nice to be Seen | We're happy to see you here. I might as well be in Chamonix! My friend Reva likes to say, everybody has to be somewhere, I might as well be here. 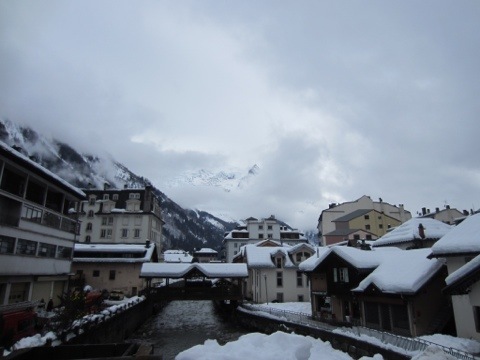 This week my somewhere is Chamonix, France where Jeff & I are on a trip with the Atlanta Ski Club. Chamonix is a classic European ski resort and certainly on the bucket list for those who love to ski. Only this week most of my time will be off the mountain as I recover from a painful & lingering back injury. The short version of the story is that I had to carry our 65-pound Labrador, Daisy, around when she was having an arthritis pain episode & had trouble walking. I didn’t think about correct lifting techniques at the time, my main concern was for her comfort. Weeks later, with no improvement, I finally went to the doctor. The good news is she thinks it was just a deep muscle strain that will heal with rest & physical therapy, not something more concerning like a disc or nerve problem. Nevertheless, I’m hesitant to over do it on the slopes & be back at square one. Jeff is scouting out some easy cruising runs for me so I can at least check the box that I’ve skied in France. I’m certain I can find lots of things to keep me occupied off the slopes. One thing I’m looking forward to is re-connecting with my friend Cathy later in the week. She was an exchange student at my high school back in…well, it was a few years ago. She lives in Switzerland now and is planning to come to Chamonix in a few days. She actually tried to come on Sunday but they had so much snow here Friday & Saturday that the trains weren’t running. Weather looks better towards the end of the week. What I likely will miss are the club’s day trips to Courmayeur, Italy & Verbier, Switzerland. I’ve skied in both of those countries before, in fact both in one day a couple of times, so the pressure is not on to hit another milestone. Meanwhile I’m trying to remember my high school French, which thus far is coming out as a combination of French, Spanish & Italian. Perhaps by the end of the week I’ll get it right. We flew from Atlanta to Zurich then took a train ride through beautiful scenery to Geneva. That allowed us a couple of days to rest & adjust to the local time before the rest of the club arrived for our transfer to Chamonix. We haven’t plotted out our return itinerary, that’s something we’ll work out later in the week (ah, the joys of standby travel). Focusing on today, as Mont Blanc is finally trying to peek through the clouds that have enveloped the valley since we arrived, when I remember that everybody has to be somewhere, I’m fortunate to say, I might as well be in Chamonix! What do I have in common with pop stars? Unusual names in my family history, for one. The pop culture world is abuzz this week with the birth of Blue Ivy Carter, her parents are pop star Beyoncé Knowles and hip-hop artist Jay-Z (born Shawn Carter), for those not in the know. Media reports suggest that although the name is unusual it holds significance for her parents and wasn’t just pulled, uh, out of the blue. My three siblings and I were all named after a family member: my oldest brother after our father (and his father) with a typically Southern ‘III’ after his name as the third. My next brother was named after our maternal grandfather…he would note that he doesn’t recommend a full name where one’s initials spell out the name you are called, TOM in his case, which was monogrammed on his high school uniform sweater to some ribbing from his friends. I was named for my mother, who was named for her grandmother, who was named for another ancestor. There was at least one Louise on my father’s side of the family so everybody was happy. A typical response to telling someone my name is Louise is, oh, that was my grandmother’s name. It’s not one you hear much anymore, but I’m OK with that. There was another Louise in my kindergarten class, and a Luisa in later school years, so I did have to share for a while. And it makes for some fun nicknames, Weezie, Weezer, LuLu (just don’t call me Lou!). My sister’s name has the most storied origin in our family. She was named for Mary Ashley Royster, a maternal ancestor who lived in Raleigh, NC. Family lore says that she & her husband wanted their children to have distinctive names. So they named her children after states. Yes, states of the Union. The boys were Vermont Connecticut, Iowa Michigan, Arkansas Delaware, Wisconsin Illinois, and Oregon Minnesota; the girls were Louisiana Maryland, Virginia Carolina, and Georgia Indiana. More history here. My grandmother was Virginia, but her middle name was not Carolina, it was an old family surname, Page, which is my middle name. I’m a fan of carrying family names through the generations, though I will admit I’m glad the state names didn’t gain traction in future generations. A couple of ancestors did try to carry it through, but note my full name is absolutely not Louisiana. This morning I took my MINI Cooper in for its first service appointment. It logged a little more than 10,000 miles in its first 21 months, which I hear is below the norm. If I didn’t drive to Savannah several times a year (500+ miles round trip) it would be much lower. I saw a recent news report that the average family spends $4,000/year on gas. I would estimate I spend far less than $1,000/year in gas for the MINI. Honestly sometimes when I’m at the gas station I can’t remember the last time I filled up. I bought the MINI on St. Patrick’s Day, 2010 (3/17 for those of you who don’t recognize this as a national holiday), hence the car’s full name is MINI Finnegan O’Cooper. My love of MINI started with my Dad who always dreamed about having one, only it wasn’t big enough to tow his boat so he typically stuck with SUVs. Even though it’s a British car through & through, I thought it was fitting that our MINI would be given an Irish name, in memory & honor of my Dad’s Irish heritage. I picked up that tradition on a European trip this year. Some new friends who joined us on a couple of tours got into the game too, hey Louise, there’s a red MINI, there’s a blue one! We even stopped for lunch at a restaurant in Rome where, coincidentally, the owner was trying to sell his 60’s vintage MINI. We passed on it, though the owner did a convincing sales job. MINI in Amalfi, Italy with Oceania’s Nautica in the background. MINI near the Pompeii, Italy ruins. MINI billboard in Rome, Italy. My husband is 6’5” & it’s funny to watch people’s reactions as he gets in & out of the car. He says it’s the most legroom he’s ever had in a car, and doesn’t even have to push the seat all the way back. Though I would advise not sitting behind him when he’s driving unless you enjoy twisting up like a pretzel in a small back seat (I’ve done it, it wasn’t fun). 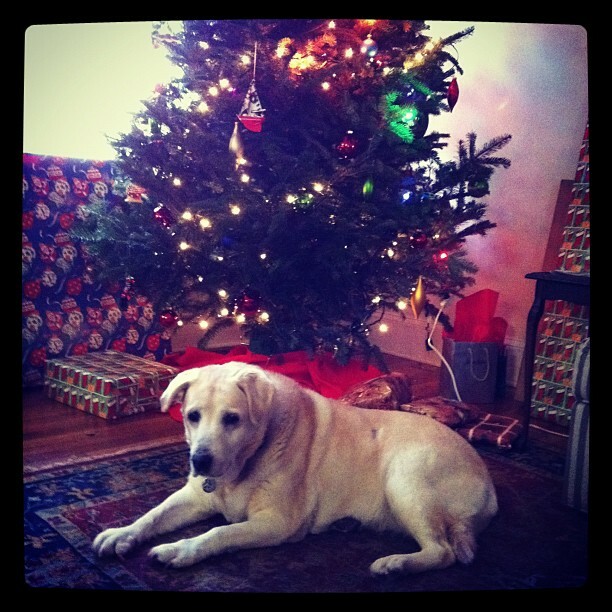 Sweet Daisy with our Christmas tree, she celebrated her 13th Birthday last week! I’ve had two do overs recently, off-the-course Mulligans if you will. But I think that’s just life, sometimes you either have to start over or shift gears mid-stream and make the best of it. These aren’t life-altering events, mind you, just those little mishaps where you realize you goofed and then go with plan B. While perusing custom-photo Christmas card templates on a number of websites, I found one on tinyprints.com that read Silent Night, Holy Night on the front. Perfect, I thought! On our cruise we took pictures of the sunset every night. So we had LOTS of pictures of sunsets that were picture perfect nearly every night. 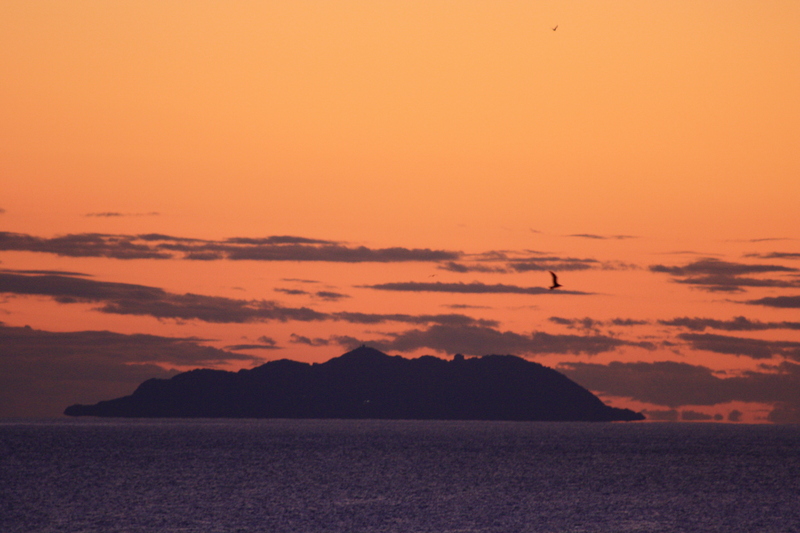 I thought it was beautiful, there was an island in the distance with interesting clouds and a bird flying through the middle of the frame. It was taken with a telephoto lens and while it was not the most crisp shot of the trip I thought it would translate well to print, especially for the smaller size of the card. Turns out, I was wrong. It didn’t translate. At all. The cards arrived looking fuzzy and dull. The original dark brown outline I had chosen didn’t help. Using the same card I chose a light blue background color scheme, and semi-gloss paper vs the matte paper used on the original card. The first photo might have looked better on semi-gloss paper, but I didn’t want to risk it. In the end we were both pleased with the do-over card, and I’m thankful for website discounts that made the hit of a new order a little softer. My second goof up was with our bread maker. We don’t use it very often, though it does make tasty bread and is fairly simple to use…or so I thought. I put in all the ingredients for a three-cheese bread and punched in all the settings. But when it started I knew something was wrong based on it saying there was 1:45 left to go. Most loaves take around 3 hours to go through the full process. Turns out I had put in the settings wrong and it was making just the dough without as many kneading/rising cycles as the recipe required. And of course without the cooking part. 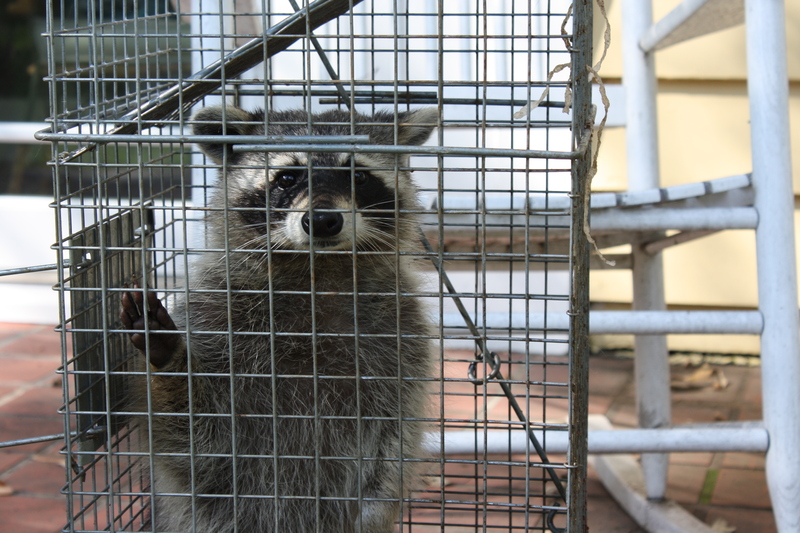 When it was done, I happened to be on the phone with my friend Lisa, and asked her advice. She said let it sit and see if it will rise. After about an hour and a half, with dinner growing later and later, I decided to shift gears. I ended up rolling out the dough and following instructions for focaccia bread. 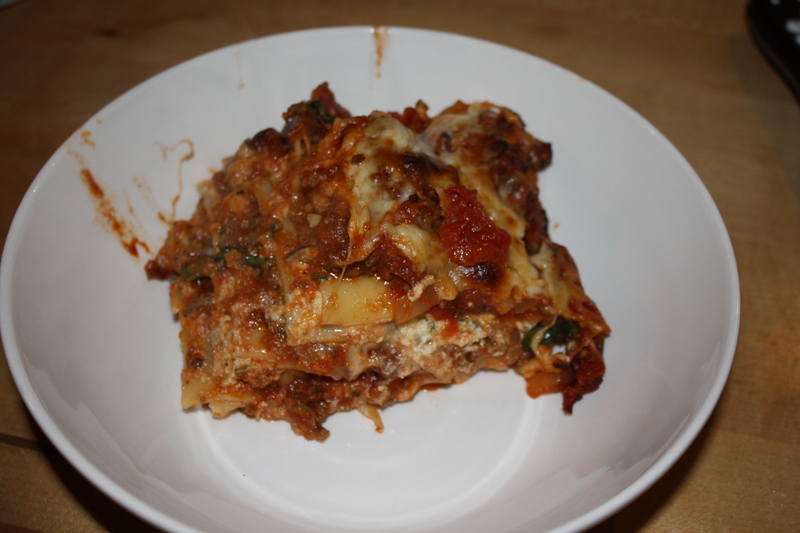 I topped it with some chimichurri and shredded cheese, then put it in the oven hoping for the best. 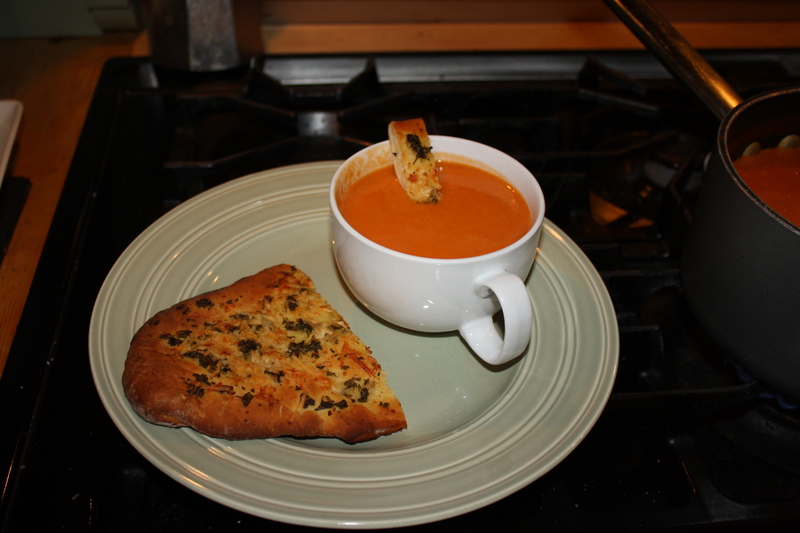 In the end, it was a great accompaniment to a simple tomato soup. 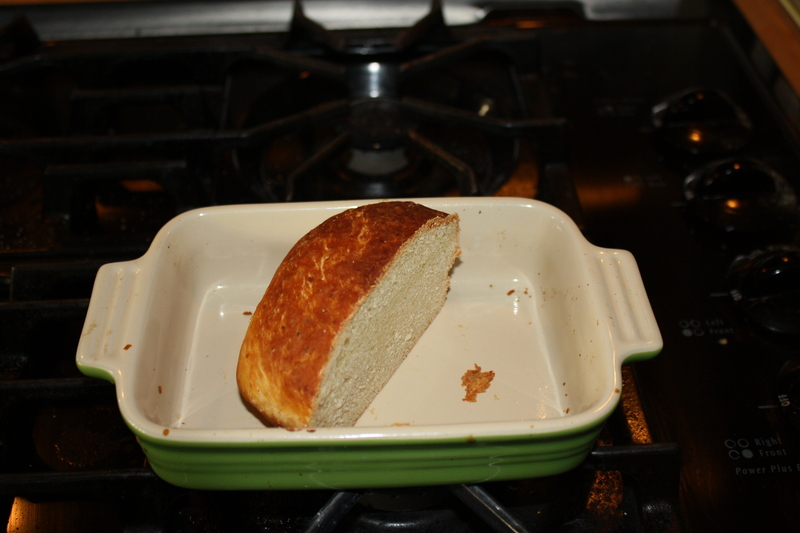 For perspective, the dimensions of that dish are roughly 6” x 4.5”, as I said, it was a mini loaf. While these weren’t huge issues in the grand scheme of things, they were good reminders not to sweat it when you have a mishap. 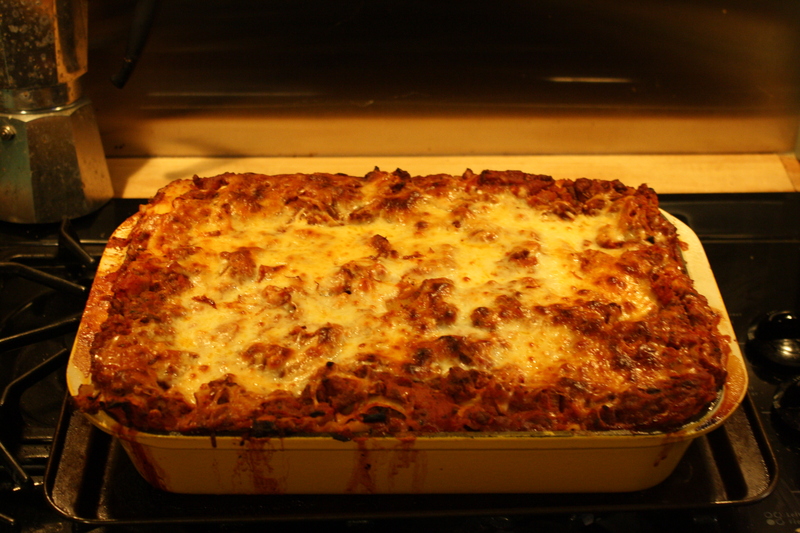 And just for kicks, here’s a couple of shots of a dinner that did not go wrong at all…last Saturday’s lasagna. The only do overs here were in the form of leftovers for a couple of days, with more to go in the freezer to enjoy another time! Jeff & I like to travel, and this year was no exception. I thought it would be fun to incorporate our trips into our Christmas tree by finding ornaments that reflect the places we’ve been and other memories from our year. 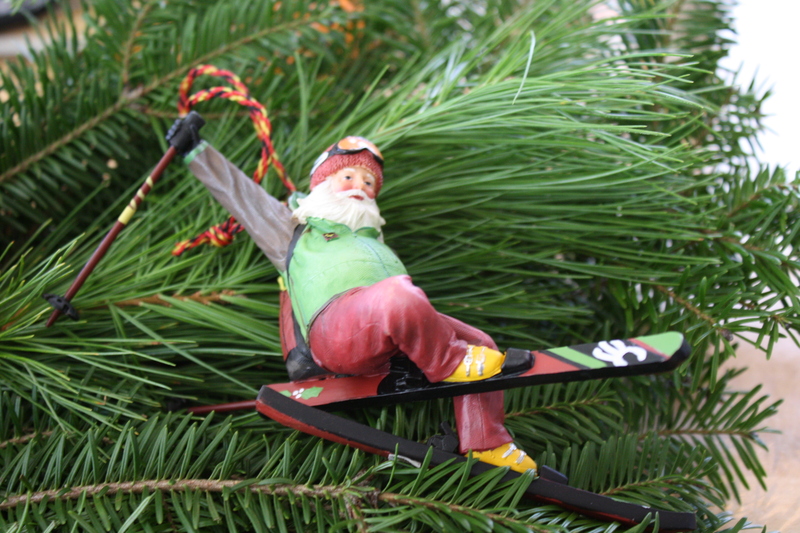 We already have a few ornaments that are skiing-related, we did meet on a ski trip, after all. While neither of us does any extreme skiing as Santa is doing here, I thought it would be a fun addition to the collection. In 2011 we took ski trips to Val Gardena, Italy, Big Sky, Montana and Valle Nevado, Chile. Valle Nevado will always hold a special place for us since that is where we met. 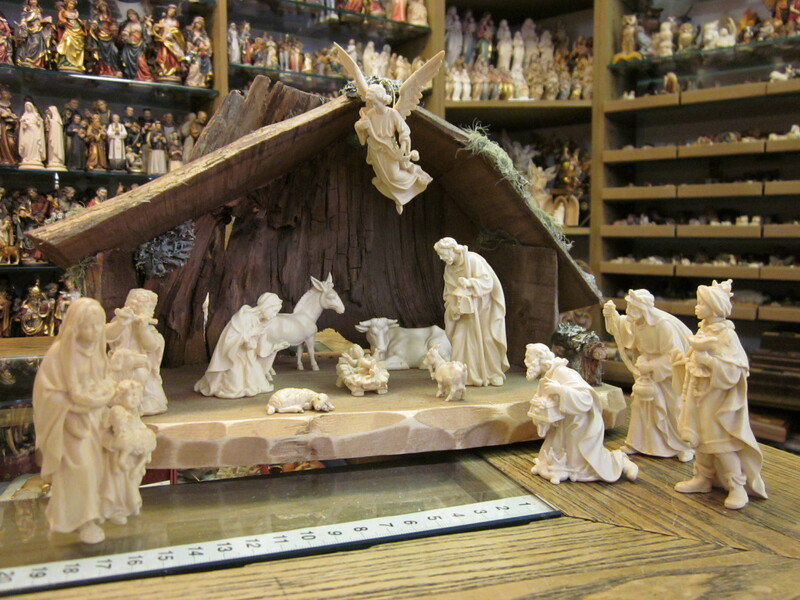 While in Italy we got a carved wood Nativity set, which will be another nice addition to our Christmas traditions. We’re both Braves fans, and this year it was a fun ride, until a major late-season collapse. Such is the way for Braves fans. We took a couple of road trips to support the home team this year. First we went to Washington, DC to catch two games against the Nationals. The first game was notable with a hail delay in the early innings. They lost the first game & won the second. Next we went out to San Francisco to watch the Braves take on the defending World Series champion Giants. We were definitely in the minority with our Braves gear on, to the point that one Giants fan even commented to Jeff about his, uh, courage showing up to root for the opposition. It was a full house, and a fairly quiet one at that. I recall being especially thankful that in Atlanta we have the fabulous & creative Braves organist to keep the crowd involved in the game. The Braves beat the Giants that night, so we went away happy. We also saw a few games in Atlanta this year, StubHub has become our go-to source for good seats. In May we spent an extended long weekend in St. Lucia, thanks to a great last-minute discount through Sandals resorts. We are not sit-on-the-beach-all-day people (well I’m definitely not any more) so we took advantage of some of the other resort amenities. They had a few small sailboats you could take out. I grew up on the water, and both of us had done some sailing many, many years ago. Though after a quick lesson we were ready to go again. It was lots of fun and we ended up sailing almost every day of the trip. 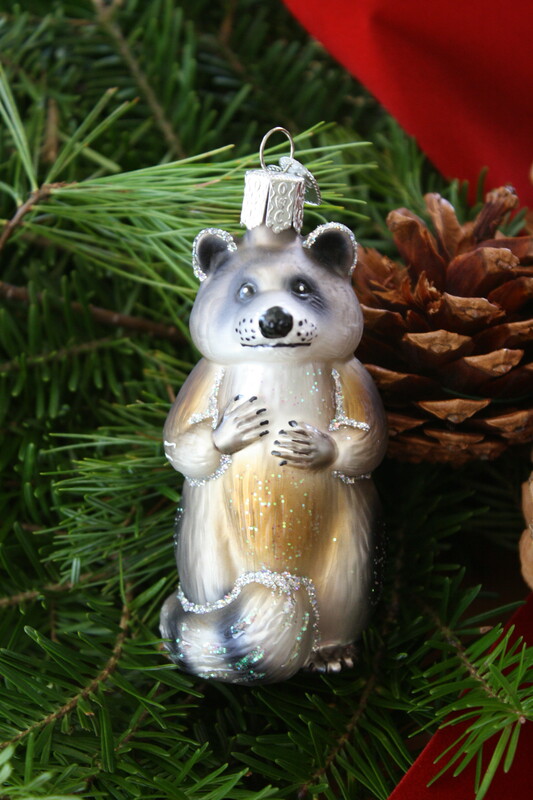 I documented our battle with some raccoons who invaded our attic here, and when I saw this ornament I knew we had to have it to commemorate that adventure. 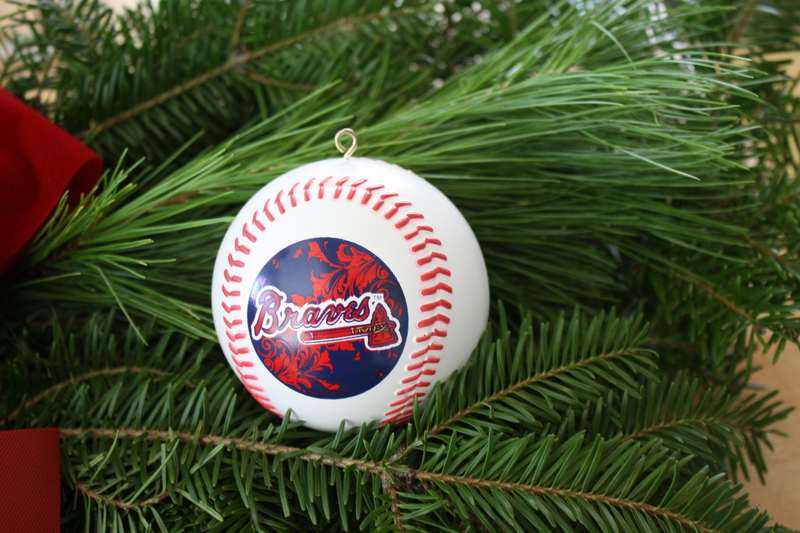 We hope in the future when we put this ornament on the tree that experience will remain a distant memory. I think the ornament looks most like Three from his expression. In October we took our first-ever cruise. Our itinerary took us from Barcelona through the French Riviera and down the coast of Italy. 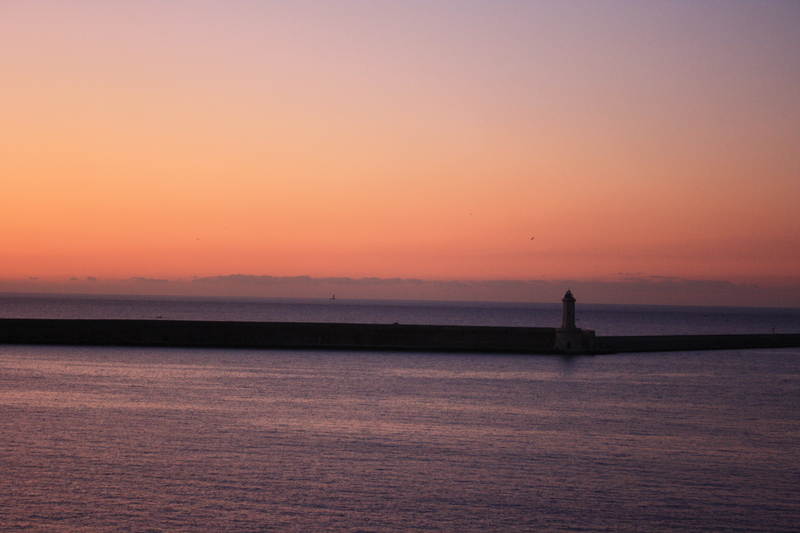 Visiting a new port every day we often imagined a life of retirement on the Mediterranean. 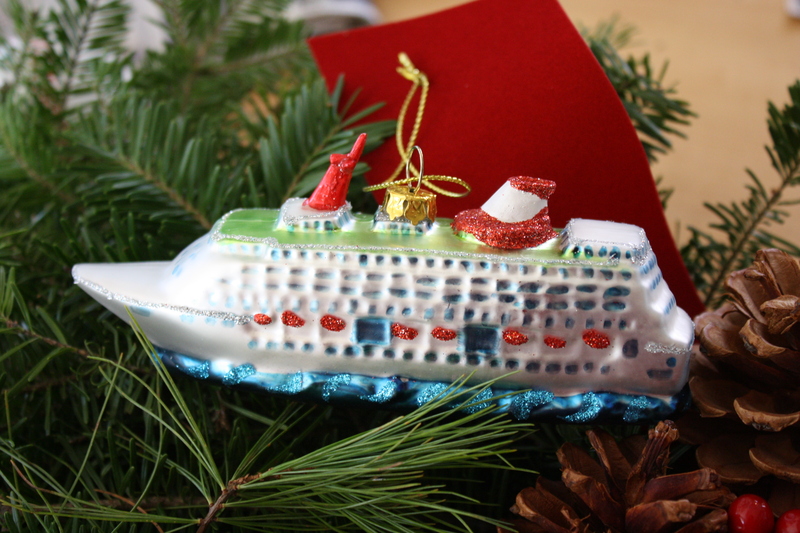 It was a fabulous time & we’re hoping to plan another cruise for 2012. 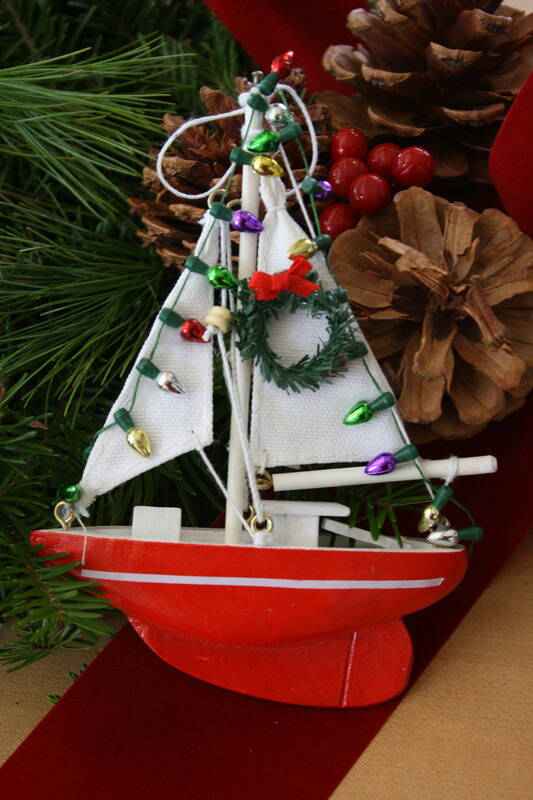 I can remember decorating the Christmas tree growing up and taking a trip down memory lane through the ornaments and other decorations. It will be fun to do the same with our own tree in years to come. I owe special thanks to my Mother who started another family tradition a few years ago by sending me & my siblings a fresh wreath for the holidays. Ours arrived two days ago and served as the backdrop for these photos. What are your favorite, family holiday traditions? In the midst of all the store flyers advertising Black Friday deals, I saw this ad in the New York Times from Patagonia. I loved the message, what a refreshing approach to the mass consumerism of the day. With the catchy headline, Patagonia aimed to draw attention to the deeper message – the impact that manufacturing has on our environment. But what struck me more was their approach. The ad outlined the harm that the making of just one jacket has, and in specific terms that don’t take an engineering degree to understand. For example, the jacket requires 135 liters of water in the manufacturing process, that’s enough water, in their estimate, for 45 people for one day. What’s unusual about this approach, in my experience, is the transparency about one specific product and its impact. It seems many more companies communicate their environmental successes by talking about what they have left out of the process, or what was theoretically saved by using less-intrusive raw materials or methods. That approach might give some consumers a false sense of environmental security – this product uses less material or less energy to produce, therefore it’s better. Which may not always be the case. Some consumers might read the Patagonia ad in a negative way. Sure, there’s a bit of a guilt trip there, especially compared to the feeding-frenzy mentality of Black Friday sales. Full disclosure, my household was not immune to Black Friday either, Jeff did take advantage of a one-day sale on my Christmas gift (purchased online). I didn’t go anywhere near a shopping center, not to make a statement, it’s just not my thing to line up with hundreds of other people to save a few bucks. Though once I lined up in the middle of the night to buy R.E.M. concert tickets. That was back in the late 1980s, and well worth it, we got great seats! 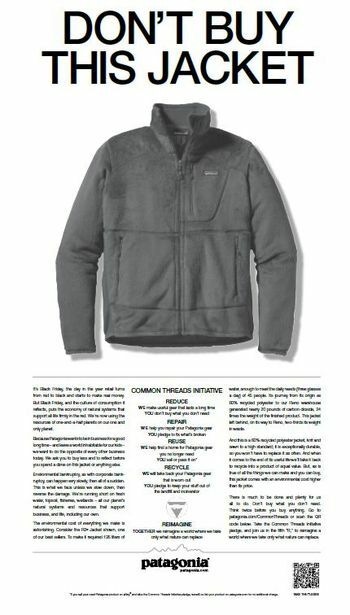 Patagonia included a call to action in the ad, asking people to take the Common Threads Initiative pledge. The pledge asks for action on both sides, for example they pledge to make useful gear that lasts a long time, and to repair gear or find a new home for it when a consumer no longer needs it. Consumers pledge to only buy what they need, to fix what’s broken, and to keep items out of the landfill. Their goal is to get 50,000 people to sign the pledge, and they are tracking results online. It will be interesting to follow this Initiative to see if it gains traction. Kudos to Patagonia for asking for mutual responsibility in the effort. In today’s environmental, and economic, climate, I hope their message was as impactful to others as it was to me.